There have been many efforts to build cars out of recyclable materials both to be more environmentally friendly and to be more economical. And now Ford Motor Company has made an unusual partnership with Jose Cuervo®, the liquor brand in order to experiment the tequila producer’s agave plant byproduct to develop more sustainable bioplastics to for future Ford vehicles. Ford and Jose Cuervo are testing this new bioplastic for use in vehicle interior and for exterior components such as wiring harnesses, HVAC units and even storage bins. According to reports it seems that the new material they have produced holds strong potential thanks to the combination of durability and inherent aesthetic. What this development could mean is that auto part manufacturing can regularly produce and use a sustainable composite material. That will not only reduce vehicle weight and lower energy consumption it will also minimize vehicle production’s impact on the environment. And agave plant, which is the core ingredient for tequila, is known for a growth cycle that takes a minimum of seven years. After the plant is harvested, the heart is then roasted before it is ground and juices extracted for distillation in order to become the notorious drink. Jose Cuervo is no stranger to recycling as they use the leftover agave fibers not only as compost for their farms but also donate them for crafts and papers. This partnership with Ford stands as part of Jose Cuervo’s broader sustainability plan since they have always been looking for productive ways to use their leftover agave fibers. There are many parallels to both companies. Like Ford Motor Company and Jose Cuervo are family-owned and operated. 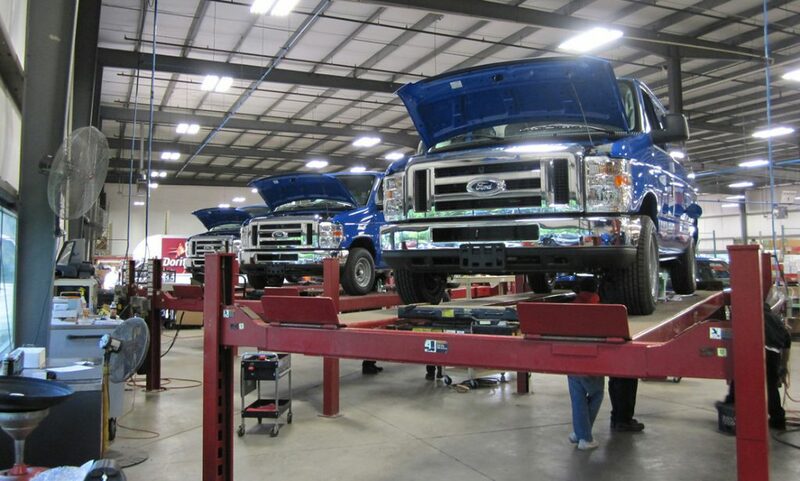 And like Ford it has roots in history having been founded in 1795. This new collaboration marks both companies taking a firm and innovative approach to product and environmental stewardship through the development of biomaterials. 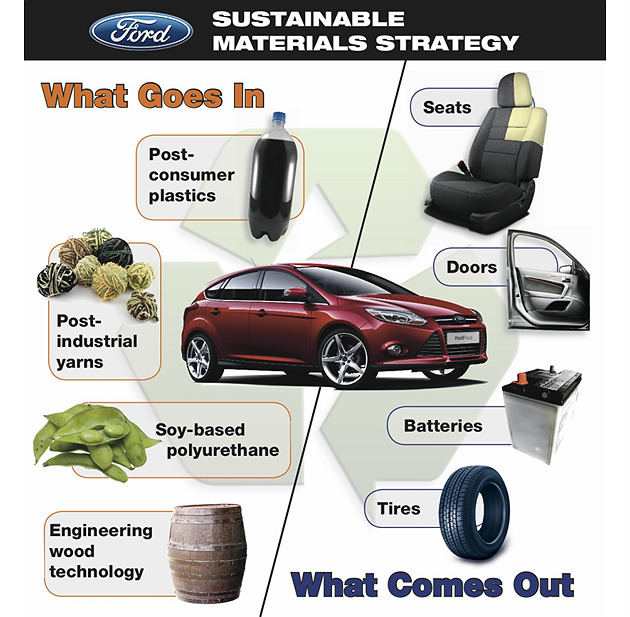 As far back as 2000, Ford has consistently made it known to the press that they have been researching the use of sustainable materials in its vehicles. As of today, the automaker uses eight known sustainable-based materials in its vehicles including soy foam, castor oil, wheat straw, kenaf fiber, cellulose, wood, coconut fiber and rice hulls. There was information gathered by the United Nations Environment Programme, that claimed that 5 billion metric tons of agricultural biomass waste is produced year to year. Most byproducts of agriculture are over-abundant and underutilized. And as we now know, materials are not only relatively low cost, they will undoubtedly help manufacturers begin using more sustainable, lightweight products as standard and this development between Ford and Jose Cuervo stands as a big step towards that.